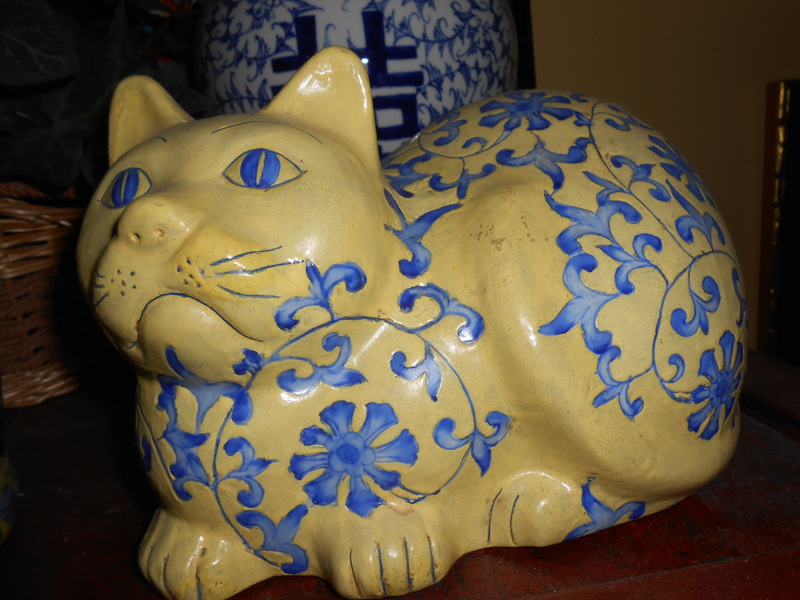 Here’s a yellow and blue cat that I found in a ceramics shop in Hong Kong. 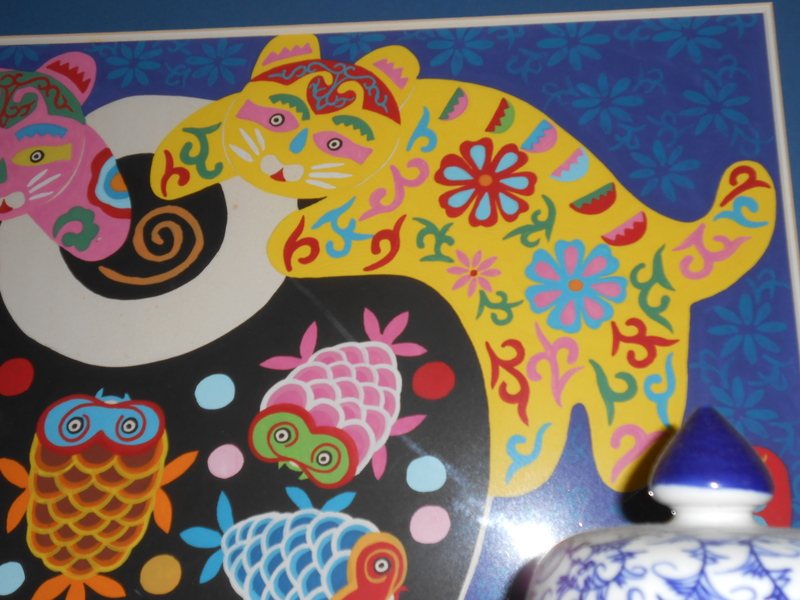 I just couldn’t pass him up, and he now sits atop my Chinese red cabinet. 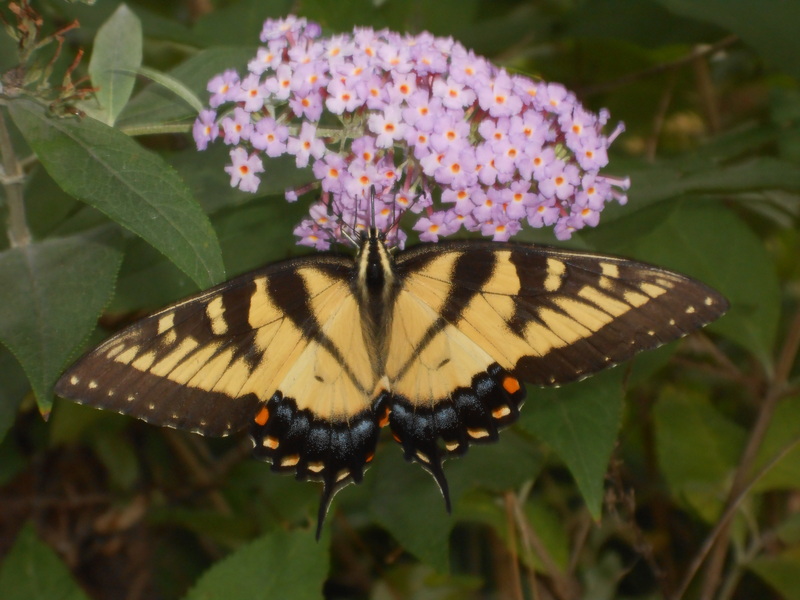 See him above in my blog masthead photo? Another yellow cat! This one is from a peasant painting I purchased in Hong Kong. 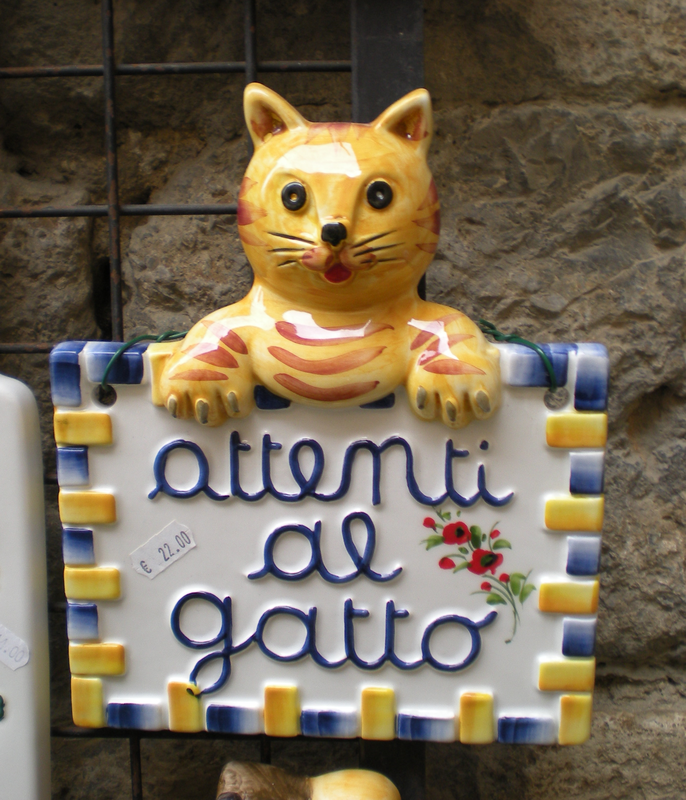 A kitty I found in San Gimignano, Italy. Lovely! I LOVE the kats especially!! These are great photos for this challenge. Thanks for playing.